That’s amaro! The best and bitterest liqueurs from Italy and beyond. No Comments on That’s amaro! The best and bitterest liqueurs from Italy and beyond. Amari (plural of amaro) are traditional Italian bitter liqueurs which are madly fashionable among the cocktail cognoscenti. No wonder, as they make versatile mixers as well as being delicious on their own. Italians love bitterness. You can taste it in the coffee, in the wine (there’s a Puglian grape called negroamaro – black and bitter) and, most notably, in a class of liqueurs called amari, meaning ‘bitter’. They are made all over the peninsula by steeping herbs, spices, fruit and vegetables in alcohol, then sweetening and diluting the concoction. The best known is Campari but each part of Italy has its own amaro, like Fernet Branca from Milan, or Amaro Montenegro from Bologna. These brands have their roots in the 19th century, but Italian families and monasteries have been making versions for much longer. Until recently, they were seen as a bit old-fashioned, the sort of things drunk by old men in cafes alongside an espresso. But in recent years they have become fashionable with bartenders all over the world. This has inspired people outside Italy to make their own. There are now a number of boutique producers in America and Britain, and even specialist amari bars like Amor y Amargo in New York. With its idyllic fjord, lush forested hills, bountiful indigenous botanicals and laid-back stance on foraging, Oslo is a city that practically lends itself to distilling. Last December I ventured to Oslo Håndverksdestilleri (OHD) for a tour and tasting during a trip to the country’s vibrant capital. They say that in Oslo you’re never more than a 15-minute walk from nature, and there’s not a single doubt in my mind that statement is true. But the city is much more than the wild and breathtakingly beautiful nature that surrounds it. Cosmopolitan yet quintessentially Nordic all at once, Oslo’s bustling cafe culture, eclectic architecture, and dynamic food and drink scene rival the likes of its hip Scandinavian sisters Stockholm and Copenhagen. Amid the coffee-slash-cocktail bars and microbreweries lies Oslo Håndverksdestilleri, which was established by Cask Norway’s Marius Vestnes and Number One Drinks’ Marcin Miller back in 2015. No matter where you are in the world, it’s a given that the ultimate way to experience a country – particularly if the visit is fleeting – is to eat and drink like a local. With that in mind, I found my way to a red brick building by the city’s longest river, the Alna, where commercial manager, Elias Vega, and head distiller, Matt McMillan, greeted me with a cracking Nordic spread. Right then everyone. Are we all ready for this week’s #MasterofCocktails? We’re going somewhat off-piste this week, making a riff on the Boulevardier, but introducing massive Umami by firstly subbing the Campari for Cynar and secondly garnishing with a pickled Shiitake Mushroom, courtesy of the Pitt Cue Co. Cookbook. 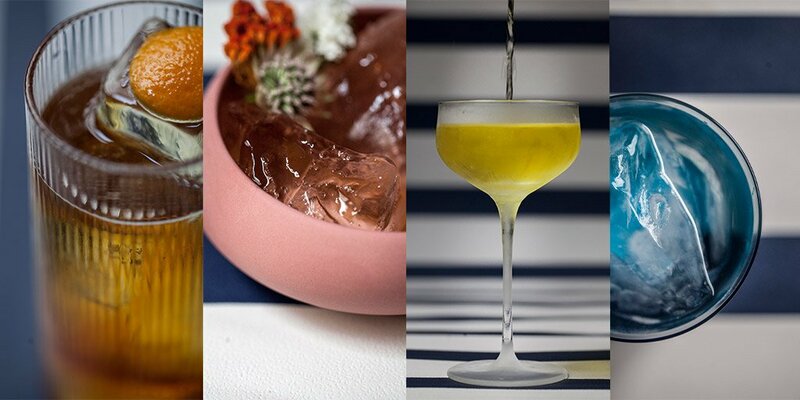 We’re putting together this drink using FEW Spirits American Gin – super-rich and ‘whisky-like’. It’s more than enough to stand up to the rich, roots-y quality of the Beetroot juice we’re using. Well greetings one and all. Ready for another installment of #MasterofCocktails? Good then. This week’s is a very, very straightforward drink, but one that seems to have fallen somewhat out of favour recently. We’re making a Pink Gin recipe. Probably one of the very first Gin cocktails? The original recipe here calls for simply gin and bitters, served at room temperature, in a tumbler. Not that, obviously. Well greetings one and all. Time for another round of #MasterofCocktails methinks. Oh yes. This week we’re making a super-delicious Japanese-y sort of tea-based gin sour sort of affair. Trust me – it’s yummers. It’s called The Jinger Ninja, a name which should make sense as we go through the recipe.